Tubs, showers, pools, cultured marble vanities, sinks, windows, whirlpools, hot tubs, tile and appliances. If your fixture is worn out, scratched, chipped, stained or brand new and was cracked during installation give us a call. We are experienced in all of the above and can do structural fiber glassing where needed. Make that chipped bottom brand new.. Make that cracked corner disappear. 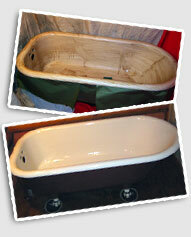 Is that old vanity or tub module looking its age? 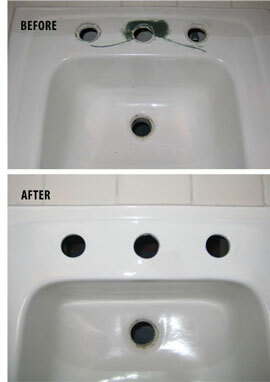 We offer deep cleaning, buffing, polishing and restoration whenever possible, and where not possible we can refinish it.